Starring: Chris Hemsworth (The Avengers), Tom Hiddleston (War Horse), Natalie Portman (V for Vendetta) and more. Rating: Rated PG-13 for intense scifi action and violence. The god of Thunder returns to Mitgard once again and to the woman he promised he would come back to at the end of Thor. This continuation of not only Thor’s storyline but also Marvel’s interwoven storyline phase is a fitting installment and brings more of the wit, banter, action and excitement that fans have come to expect from the Asgardian. Opening once again with narrative background for understanding, viewers are immersed into Asgard and welcomed by the voice of Odin the Allfather. 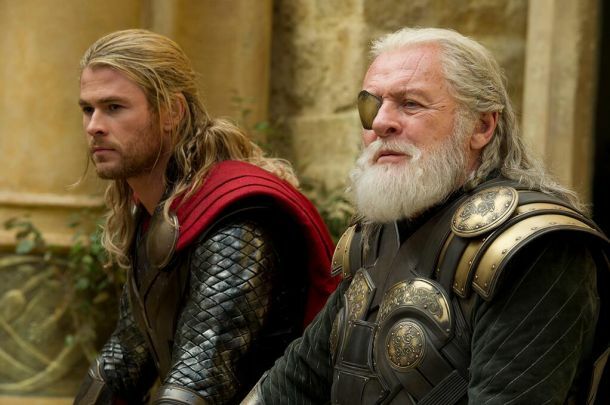 And, this time around there is more of Odin, the Warrior’s Three, Asgard and the other realms expanding the “universe” of the movie and making it grander and grittier. But is it better than the first? While certain elements definitely surpass that of the 2011 film such as more fight scenes, more characters, more risks taken, etc…it is still a very close second! 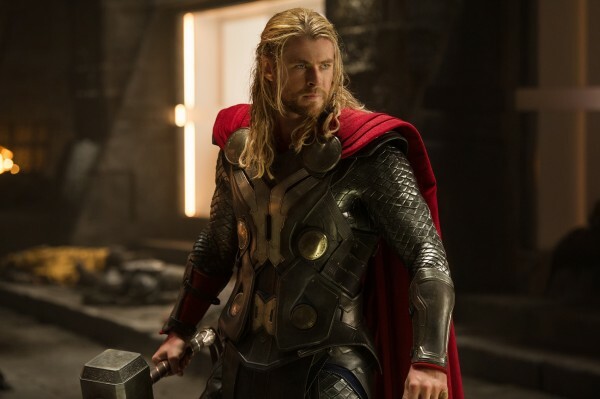 What makes Thor: The Dark World fantastic? Well, first off…it’s Thor! Even those who knew nothing aside from the fact that he carries a hammer before 2011 have now become fans of his. This being the third time Chris Hemsworth has wielded the mighty Mjölnir (which is still tongue-twistingly referred to as “Meowmeow” by Darcy and makes for a fun tie to and continuation of the humor of the first film) and Marvel studios knows exactly what type of cinematic gold they have in him and Loki (who also shows up for a third time). Thirdly, its wit and humor continue in the same vein as the previous films and not only does this film come with plenty of subtle jokes, humor and one-liners, it craftily continues some from the previous installments and brings about new ones. In addition to the humor, this film also has an appreciated range of emotion that makes the characters in it more rounded and true. The connection between Thor and his brother Loki shows a side of Thor that is rarely seen. Not overly weighty in emotion, peppered with the right amount of comic relief and giving us something to hold on to in terms of genuine charactes, this sequel is another Marvel sequel success. 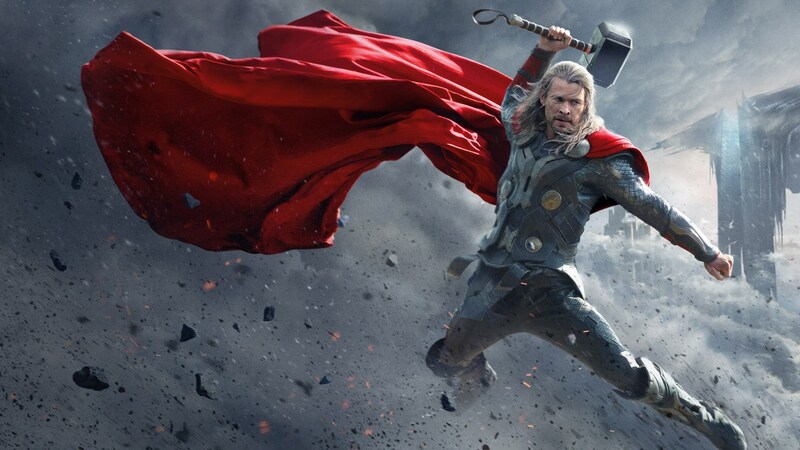 Fourthly, Thor: The Dark World uses its great characters to its advantage in keeping the story moving. But it is also here where the thread of this great Marvel quilt begins to unravel. Several of the characters thankfully integrated were still slightly underused. While I am not certain exactly how to remedy this slight misstep given the story, I would have liked to have seen greater use of characters such as Dr. Selvig, Sif, Hogun and a few others, including the main villain Malekith. Mystery abounds throughout as Thor faces a dark villain with even darker motives and fights for himself, his love and his family with greater drive than ever before when all is threatened. 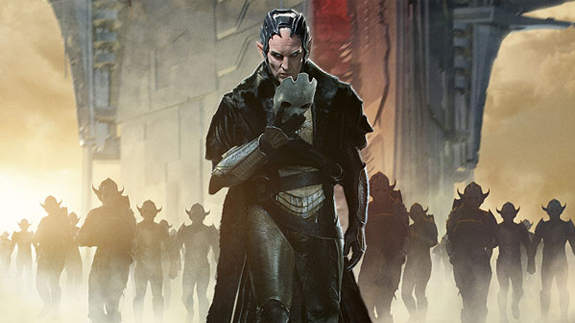 Taking Malekith’s maliciousness perhaps one step further would’ve given more reason to hate him as an audience and I waited to hate him more…but it just didn’t happen. 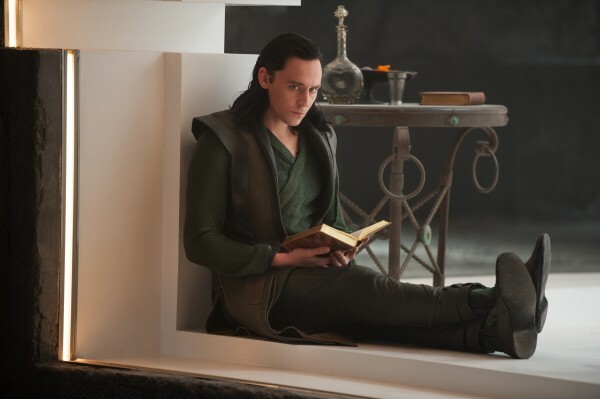 Instead, I was left wanting in terms of the villain and relied heavier on watching out for Loki who I was sure would try to be mischievous again. However, I can celebrate in this: Heimdall!!!! 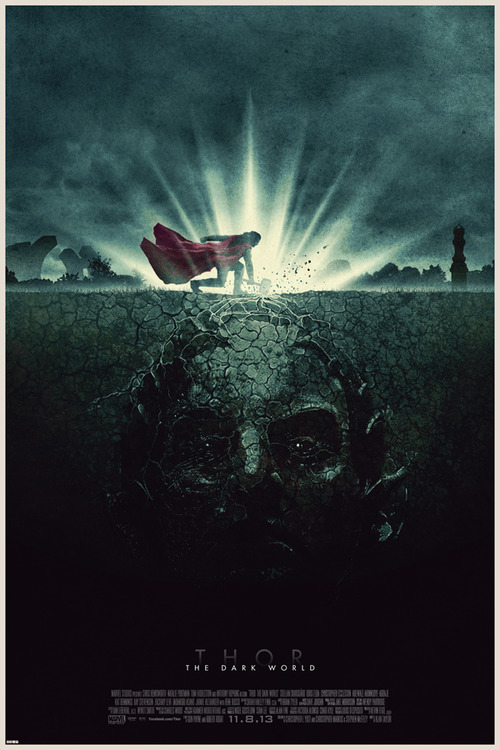 All in all, Thor: The Dark World is a good story told and misses very few marks in the overall grand scheme of things. Disappointing in little, this sequel packs a punch in terms of action, comedy, development and cinematics. The cast, having settled into their roles, is superb. Hemsworth, Hiddleston, Hopkins, Portman…all of them perform tremendously well as their characters allowing the viewer to be immersed in the comicbook world. Rather than seeing them as actors, they ARE the characters. 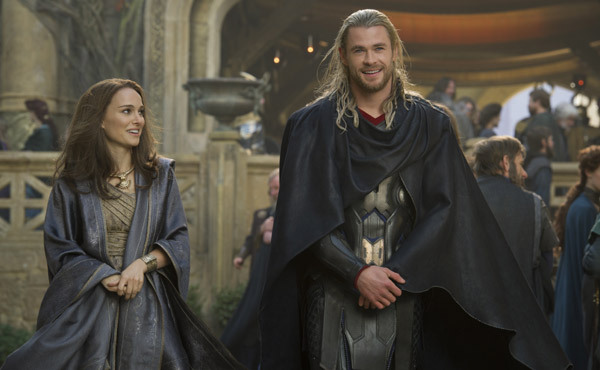 With a few fun cameos and TWO scenes after the end (one mid-credits and one post-credits), Thor: The Dark World keeps its look and feel to the very end and interjects itself right in the middle of Marvel’s Phase Two to keep things going. A great sequel that fans will not be disappointed in. See it. Planning on seeing this, for sure. Thanks, T.
Ooh you will like it. Let me know what you thought. Thanks for reading. Not the best stand-alone movie the Marvel universe has granted us, but still a whole bunch of fun that’s surprisingly taking place in the beginning of November, right before all of the heavily serious Oscar-bait projects come at us. Good review T.
I can agree with that my friend. It’s not the best stand-alone movie but I’m okay with that too because the strength (or one of them) of these Marvel movies is that they can rely on and build on the others that have been done before. Oh man, I’m curious to see how my “Top Ten Movies of the Year” list in the sideliner of my site here will look come the end of the year with so many still to come. ha Thanks for the comment my friend. I will definitely be checking this movie out. I tend to always underestimate the Marvel films, I don’t know why, cause once I watch them it ends up becoming this GREAT film. So I will be sure to check this movie out ASAP. Marvel has definitely improved their storytelling to be sure. Especially since getting their own studio. This is a great film that works well with watching the first Thor and The Avengers right before it. I hope you enjoy. Thank you for the compliment. Great work and illustrations, Terrence! Mr. Hiddleston is beginning to grow on me as an actor with serious chops. I caught a miniseries on PBS last night, ‘Shakespeare Uncovered’. Where Mr. Hiddleston plays Henry IV and V opposite Jeremy Irons as his father. Along with a cast of Royal Academy and Theater alums as ne’er do wells. So, his playing a clever and ingenious Loki is a snug fit. While Mr. Hemswoth’s Thor is starting to come into his own. I’ll seek this one out for future reference. Also, drop by Michael’s and Ruth. I’ve plumbed some topics that are right up your alley! Thank you sir. I take time in choosing the photos I like to be a part of the reviews and appreciate the attention to that. Shakespeare Uncovered, huh? I will have to look it up. I think I have heard of it. Doubtless, Ruth has as well. I have become very impressed with Hiddleston who seemingly came from nowhere over the past few years…much like Cumberbatch. I will be sure to stop by. Thank you for letting me know and for commenting here. Have a great weekend. Good review, what you think of the cameo? Tim! I loved the cameo. A very unexpected and welcome part. So much fun. I really did enjoy this film. Glad you did too. I’ll be by to check out your review shortly. Thanks for stopping in, man. Sounds like you really enjoyed the film! Thought it was a lot of fun but just wished it was better. Felt it was missing a lot of what the first film got down, from the score to the grandeur of it all. Everything felt too “typical”. Also the tone of the film was a bit all over the place. There wasn’t really a balance with the slapstick humour and the more serious things. Which I think the first film got right. Yeah, I can’t wait to check this one out! Nice review, T!